As we’ve covered here and here, the Supreme Court will decide this term whether a whistleblower can pursue a Sarbanes-Oxley claim for retaliation by a privately-owned employer. Jackie Lawson and Jonathan Zang, former employees of Fidelity investment advisory companies, say yes. The First Circuit said no. Lawson and Zang’s argument involves the interpretation of 18 U.S.C. § 1514A, the provision of Sarbanes-Oxley that allows whistleblower claims. They argue that the plain language of Section 1514A applies to protect not only employees of publicly-traded companies and mutual funds, but also employees of contractors of those companies, such as the Fidelity investment advisers at issue in their case. The statute bars contractors from retaliating against an “employee”: Lawson and Zang contend that this should be read to refer to those contractors’ “own employees,” in addition to the employees of public companies with whom the contractors work. Br. at 15. They argue that it wouldn’t make any sense to only prohibit retaliation by contractors against others’ employees, since it would be very difficult, if not impossible, for a contractor to terminate someone else’s employee. Br. at 22. Lawson and Zang also address the headings in Sarbanes-Oxley, which the First Circuit heavily relied upon when that court decided that they could not sue. In particular, the heading for Section 1514A(a) states: “Whistleblower protection for employees of publicly traded companies,” which suggests that employees of other companies are not covered. Lawson and Zang attempt to overcome this language by pointing out that the header to the entire section 1514A states, “Civil action to protect against retaliation in fraud cases,” without mentioning employees of public companies. Br. 42. They also note that employees of mutual funds are undisputedly covered by Section 1514A, even though they are not referenced in the heading. Br. 46. Based on these and other differences between the headings and the text of the statute, Lawson and Zang argue that the headings are merely “shorthand.” Br. 46. Lawson and Zang also engage in an extensive discussion of the legislative history (a section that certain Justices are likely to skip). Br. 53-61. Finally, they argue that the Court should defer to the Department of Labor’s favorable interpretation of the statute, to the extent that the Court finds the language of the statute to be ambiguous. Br. 61-63. Perhaps the highlight of the brief is the rebuttal of the First Circuit’s “Up in the Air” hypothetical, which posited that Congress included contractors in the statute to avoid allowing public companies to escape liability by hiring a George Clooney-type character to deliver the bad news. Br. 26-27, 37. They argue that the hypothetical "makes no sense" because the company would have been liable anyway under an agency theory for the acts of its authorized agent, the "axe-wielding" Clooney character. 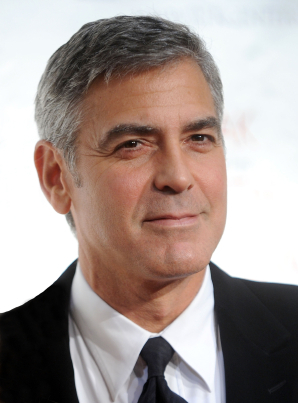 Given this discussion, if there is no Clooney reference at oral argument, I’ll eat my suitcase.